The Melting Pot® Restaurants, Inc., the world’s premier fondue restaurant and a leading polished casual dining franchise, today announced they will be making a mark on fondue history…a grill mark. 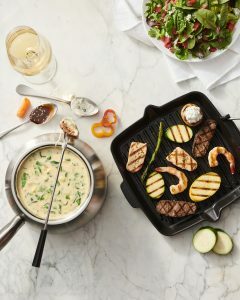 Beginning August 28, Melting Pot locations nationwide will offer their guests an enhanced fondue experience featuring tabletop cast-iron grilling. 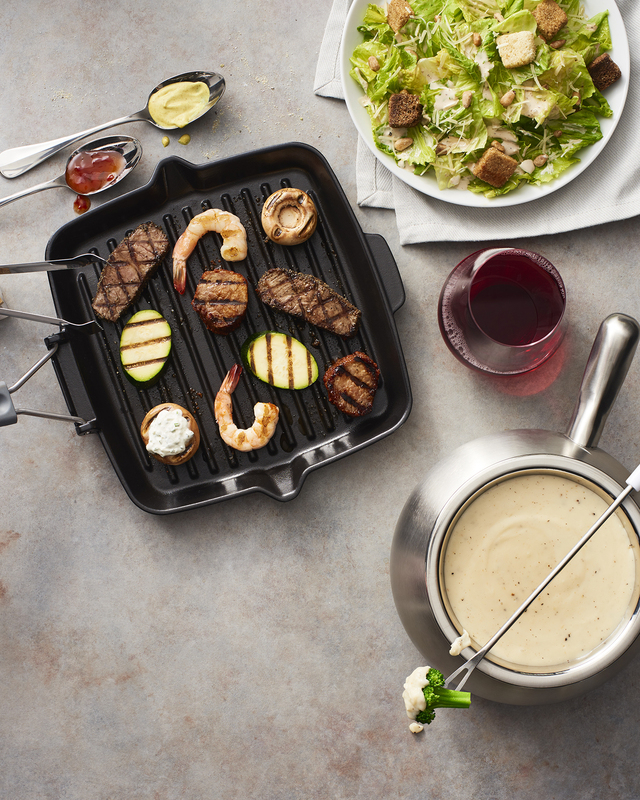 Fondue fanatics and grill masters will unite under one roof when grilling is added to the fondue experience. Hear that sizzle? Summer is in full swing and in celebration of National Grilling Month, The Melting Pot invites guests who love grilling to start practicing their grill marks in anticipation of the new grill cooking style launch. Guests will become grill masters when they sear their favorite entrée items, like steak, chicken, and shrimp to perfection right at the table. 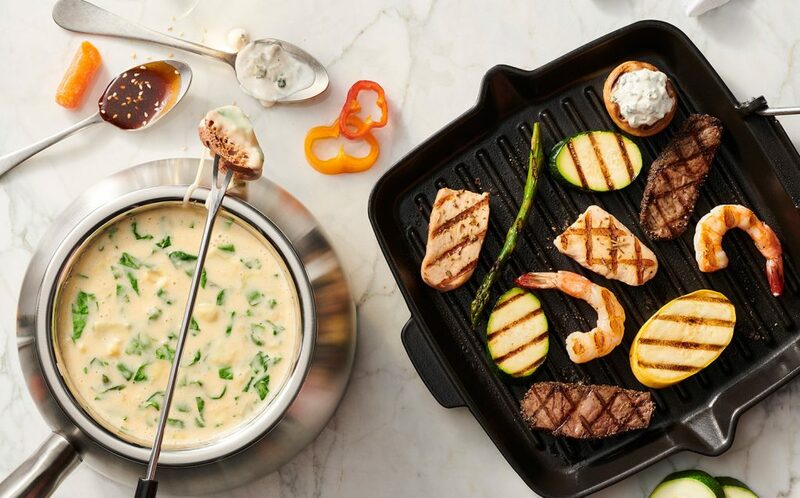 Grilling is an American tradition and will officially be a year-round activity when tabletop grilling is introduced nationwide at The Melting Pot late this summer. Think you have what it takes to be the next grill mark master? Stay tuned and follow us on social media to learn about our national grill mark master contest. Get ready to meet fondue’s new best friend. The Melting Pot has more than 115 restaurants in 34 U.S. states, Canada, Mexico and The Middle East. Additionally, there are more than 17 international locations in development. 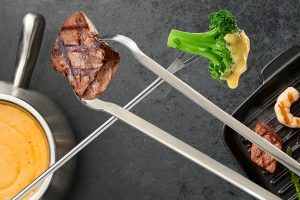 The concept is known for offering an assortment of flavorful fondue cooking styles and a variety of unique entrées served with signature dipping sauces. The menu features a variety of à la carte selections, highlighting customizable options that invite guests to enjoy one, two, three or more courses as they select any combination of individually-priced cheese fondues, salads, entrées and chocolate fondues. 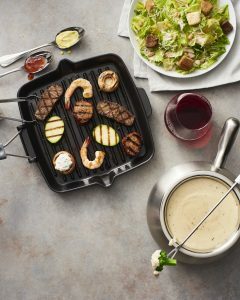 For more information on The Melting Pot and the new grill cooking style, visit https://www.meltingpot.com/grill-cooking-style.aspx.